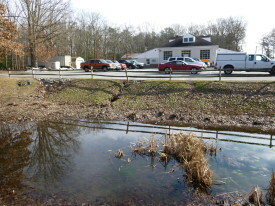 The Stockley Center is home to the headwaters of Cow Bridge Branch, one of the Delaware Inland Bays’ least disturbed tributaries. 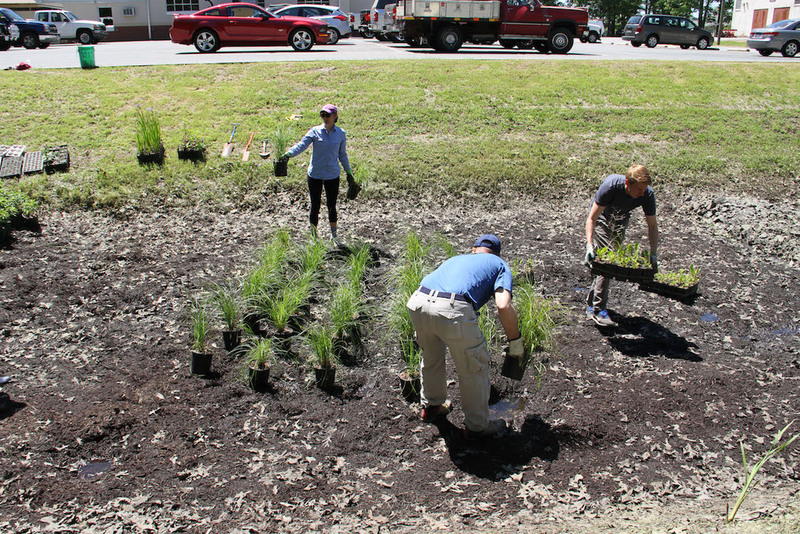 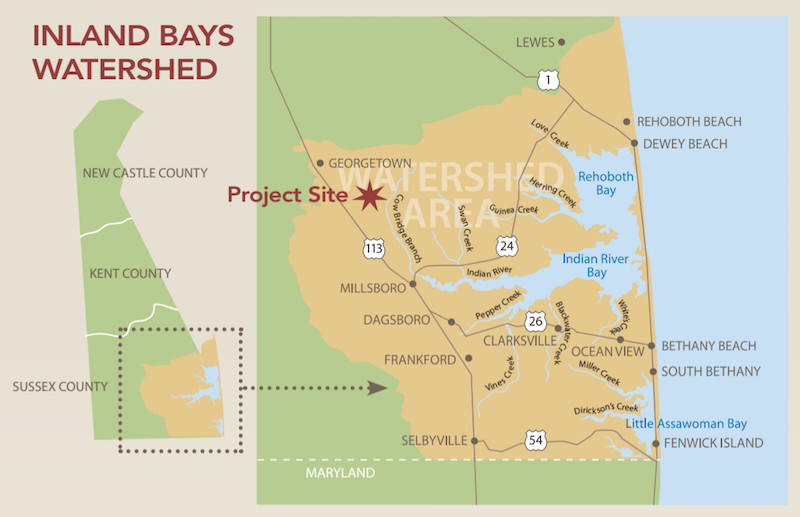 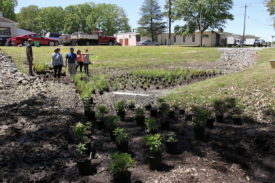 This project, along with a 2014 stream channel restoration project, further protects one of the most pristine areas of the Inland Bays watershed by addressing erosion and runoff problems. 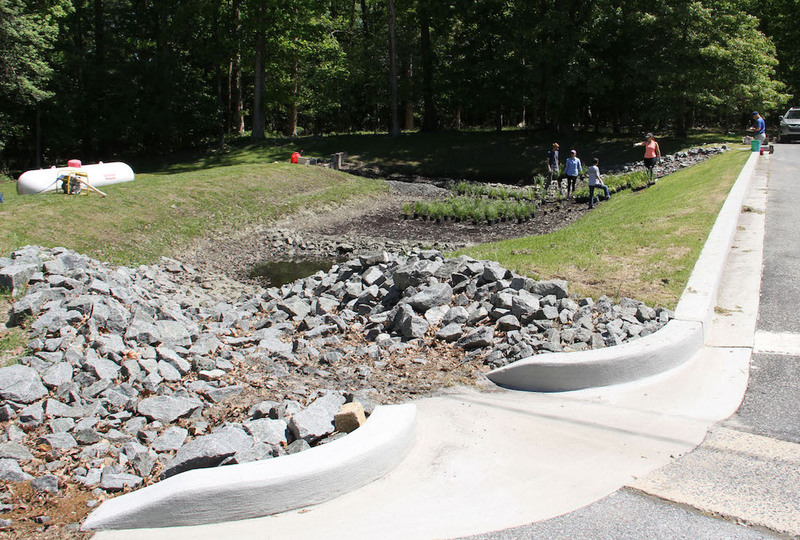 What was once a stagnant stormwater pond has been turned into a bioretention facility which stabilizes the failing slope, reconstructs the riprap inflow channel, and rebuilds the forebay. 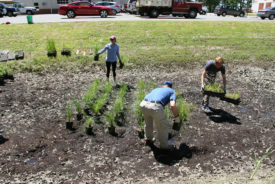 The project is estimated to improve water quality through the incorporation of biochar, a soil amendment that will increase the retention of nitrogen and water. 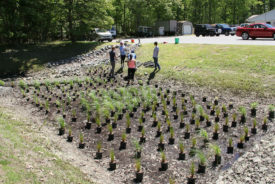 The retrofit will reduce nitrogen loads by 17.13 lb/year of nitrogen and phosphorus by 2.31 lb/year. 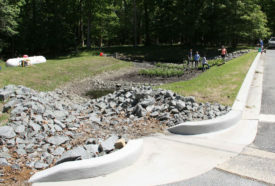 Previously, this eroded hillslope allowed sediment and nutrients to run directly into the failing stormwater pond below. 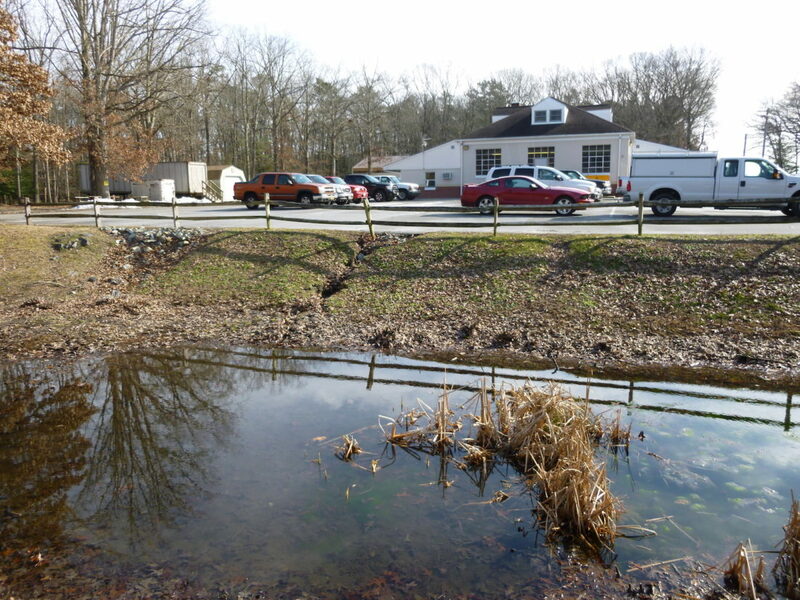 Construction was completed on the new bioretention area in December 2016. 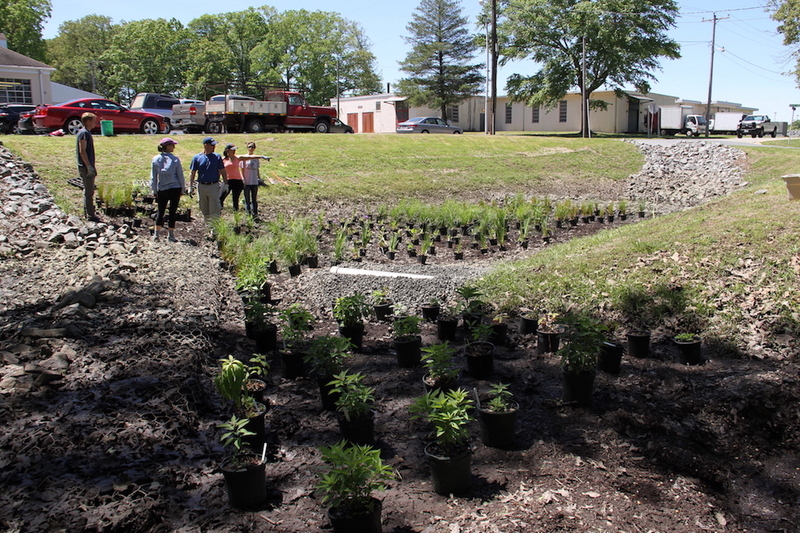 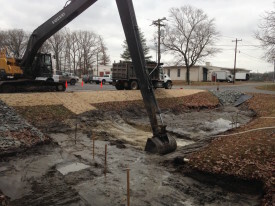 Laying out the plants that will filter stormwater in May 2016. 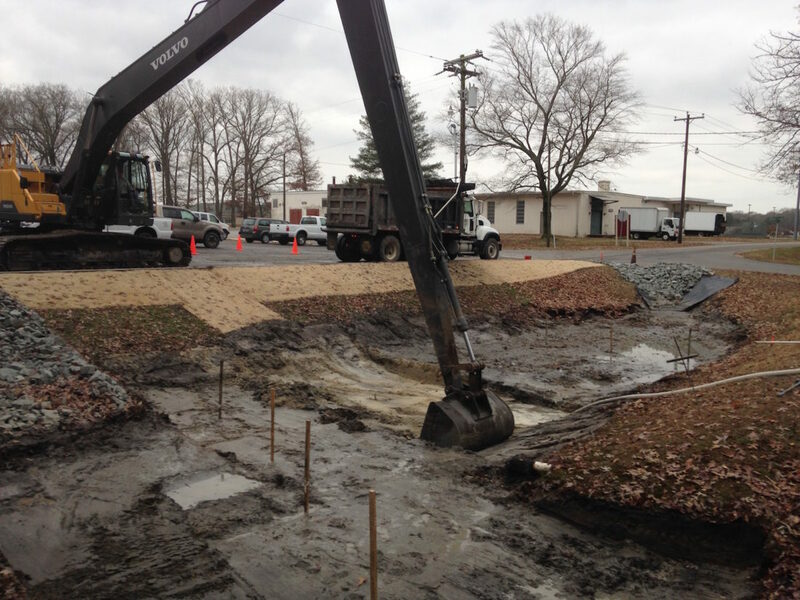 …removing nutrients and trapping sediment from runoff. CIB and RK&K staff plant the dry pond.